Montenegro, while a small country, certainly does not lack in character and beauty. Considered to be the pearl of the Mediterranean and located in the south region of the Adriatic sea, this unique Balkan country has breath-taking scenery and is home to both rugged mountain terrain as well as a spectacular strip of beach and shoreline. The Bay of Kotor is a beautiful region to visit and explore. The Bay, resembling a fjord, is home to some quaint coastal churches and towns, such as Kotor and Herceg Novi. Although the region can get incredibly busy during the summer months, Kotor somehow manages to hold on to its charm. The Ostrog Monastery is a must-see sight when in Montenegro. 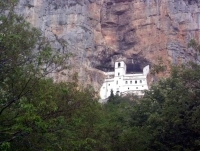 Set into a mountain face, the Monastery is considered to be one of the most important pilgrimage sites in the Balkans. Visitors enjoy receiving a blessing once there, and can experience the eerie atmosphere off the cliff-side holy place too. The Durmitor National Park is worth a visit for those who enjoy outdoor activity; not only is it one of Montenegro's most spectacular national parks, it also offers skiing and snowboarding in the winter months and hiking and kayaking in the summer making it a versatile destination. Those still chasing open-air entertainment will also enjoy Lake Skadar National Park, made notable for its scenery and outstanding wildlife. Maritime history buffs will enjoy the Maritime Museum; one of the most popular cultural sites in Montenegro and suitable for all ages. 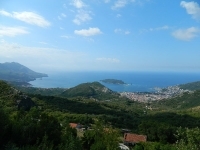 The Budva Riviera is also a brilliant tourist spot; a 22-mile (35km) strip of Adriatic coastline offering tourists more than 20 beaches and some lively restaurants and nightlife too. A wonderfully unique destination, offering outdoor splendour as well as history, those who visit Montenegro will not leave disappointed.